Mohsin Hasan Khan’s association with Pakistan cricket has been a long and proud one. From a dashing opening batsman who scored 4586 runs in his 123 international appearances for Pakistan to the position of Head Coach which saw his team inflict their first 3-0 whitewash on England, Mohsin Hasan Khan’s credentials as a Pakistan stalwart are undoubtable. After a spell on the sidelines of Pakistan cricket, recently he has been appointed as Chairman of a Cricket committee which has been tasked with advising the PCB Chairman, Ehsan Mani, with recommendations for improvement of Pakistan cricket. Whilst Mohsin’s role as a senior and well-established voice in the matters of Pakistan cricket has a few doubters, there have been some dissenting voices raised against him in regard to his suitability as Chairman of the Cricket Committee based on remarks about Pakistan captain Sarfaraz Ahmed as well as comments regarding Head Coach Mickey Arthur. Speaking with PakPassion.net, the former Pakistan Head Coach sought to clarify his stance on these issues and to correct some of the stories and rumours surrounding him. The remit of the Cricket Committee is a complex and comprehensive one. 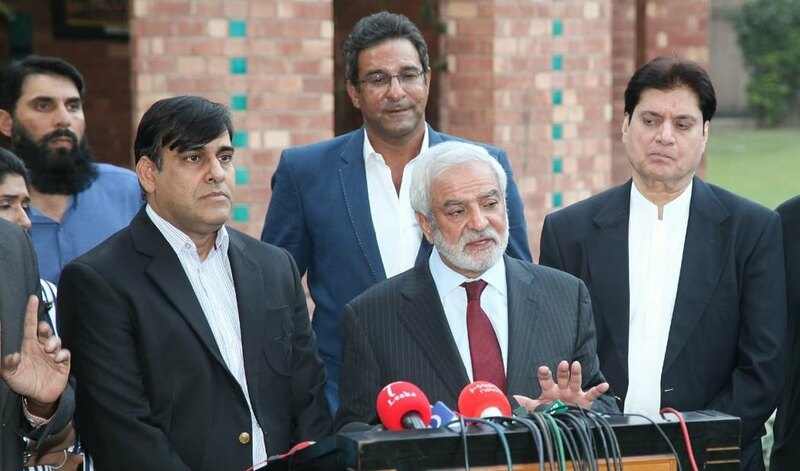 The recommendations made by the committee if approved by the PCB Chairman will have far-reaching and significant effects in the manner in which cricket is run in Pakistan. This is a role that Mohsin is not taking lightly and as he explained, the role of the selection committee and the performance of the current Head Coach Mickey Arthur will all be put through the scanner. As Mohsin Hasan Khan has realized from the spate of some unwelcome media interest and reporting on his appointment as well as some remarks attributed to him regarding Mickey Arthur and Sarfaraz Ahmed, life in the public eye is something he will need to get used to once again as he starts work as Chairman of the Cricket Committee. Apart from addressing the serious issues related to Pakistan cricket that he will need to look at soon, the former Pakistan batsman and Head Coach also has to ensure that he has the full trust of all stakeholders of the game in Pakistan. In this regard, Mohsin had no doubts that regardless of some of the baseless stories being promoted by elements of the media, he will be focussed on serving Pakistan cricket to the best of his abilities, “the stories of me being removed as the Cricket Committee Chairman and not being allowed to speak to the media are nonsensical and fabricated. I have spoken with Ehsan Mani about my role and he has assured me not to worry about my role and to ignore the false stories from sections of the media. The Chairman is the one who will have the final say on any changes that are to be made and my Committee and I are there in an advisory role. Our decisions will be based on merit and merit alone and I look forward to working without any bias as I feel it is our duty to serve Pakistan cricket well,” he concluded.